Директно от избата - директно на вашата трапеза! Directly from the cellar - directly at your table! 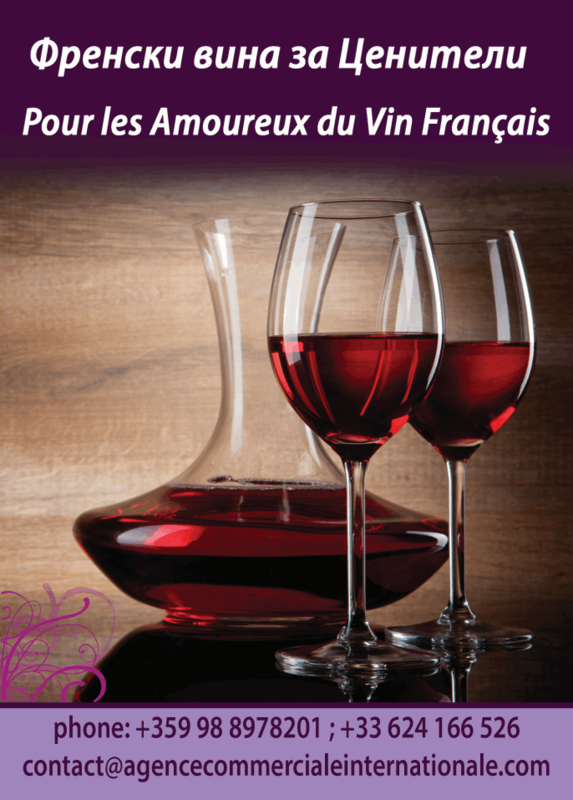 Прекрасното Rosé Cabernet d'Anjou "Villa Lorane"
на цена 14 лв./бут. вместо 15 лв./бут. ПРИ ПОКУПКА НА 5 БУТИЛКИ Розе Каберне получавате 1 бутилка Подарък! Alliance Loire includes 8 cooperatives, representing the diversity of wine cellars of the Loire Valley to present their different wines. 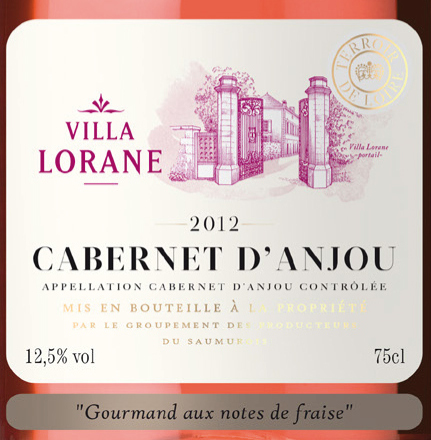 CABERNET d’ANJOU Rosé “Villa LORANE” is very characteristic of the Anjou region. 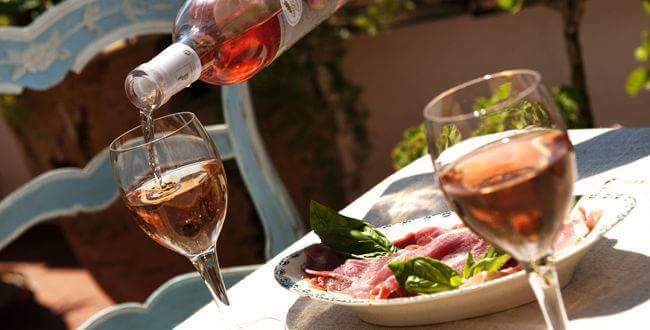 Very fruity, soft and pleasant on the palate, it will be served well with appetizers, salads, cold meats and white meats, especially poultry. Intense nose combines the aromas of juicy strawberry, pink grapefruit, pomegranate and sweet licorice. Lovely pale pink color with brilliant highlights. The Champagne house is located in Chatillon sur Marne, in the heart of Marne Valée. From several generations of ancestors wineries, the SMEJ-VELY family assumes the continuation of the family farm. 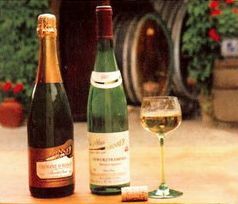 A 12 km south of Colmar, Pfaffenheim enjoys a microclimate that ensures the vines maximum sunlight and rainfall among the lowest in France. Its clay-limestone soil is also the ground upon the great vineyards. Area of ​​4 hectares created in 1942 by Clement Runner, resumed in 1976 by his son Francis, with the same passion and the same objective quality. The development achieves 7.5 hectares of vineyard in 1980. Claude Francis, son of Francis, fits into the family business which now has 12 hectares. Clement, Claude Francis and Francis, the family tradition combining innovation and love of a profession. The Pamidovo wine cellar is situated at 40 dka area, surrounded by wine yards with production facilities, equipped with the most modern instalations for making wine by the classical and modern type of fermentation, processing, stabilizing and bottling of wine. Pamidovo Cellar company owns 1,600 dekares of land situated around Pamidovo, Velichkovo and Rossen villages- an area known with it’s ancient 4 000 years history and tradition in wine making. 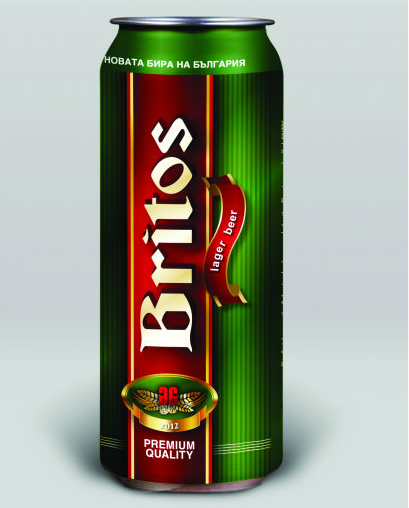 Brasserie "Britos" was created in Veliko Tarnovo, Bulgaria in record time and investment exceeds 10 millions euro. For the first time in decades, the country has opened a new brewery. Technology and GEA Brewery Systems machines are the latest in the brewing industry, which makes the factory, now unique for Bulgaria and the Balkans unprecedented. Machinery companies worldwide leading technological units for high capacity brewing. Annual capacity is 20 million liters and the recipe was developed by Bulgarian technologists in collaboration with the Institute of beer of Berlin.